Here are the final broadcast ratings for Friday, February 23, 2018. Finals Update: The Winter Olympics (2.9, +0.3) adjusted up. A repeat of 'Showtime At the Apollo' (0.5, -0.1) adjusted down. The Winter Olympics (2.6) was down a whopping eight tenths from yesterday on NBC. 'Celebrity Big Brother' (1.1) also lost a couple tenths from the last time it aired. But, it was a tenth above last week's airing. At 10, CBS aired a low-rated encore of 'Blue Bloods' (0.4). 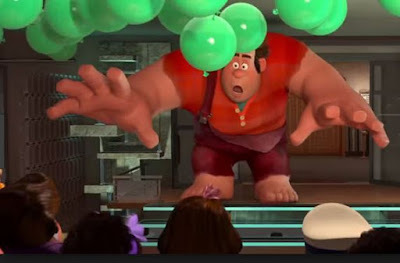 Disney is the parent company of ABC, so ABC aired Disney's 'Wreck-It Ralph' (0.5). It did a tenth worse than last week's 'A Bug's Life'. It led into a steady '20/20' (0.6). FOX had an encore of 'Showtime at the Apollo' (0.6) before it returns to TV. The CW had 0.1s across the board with Howie Mandel and 'Whose Line is it Anyway?' repeats.